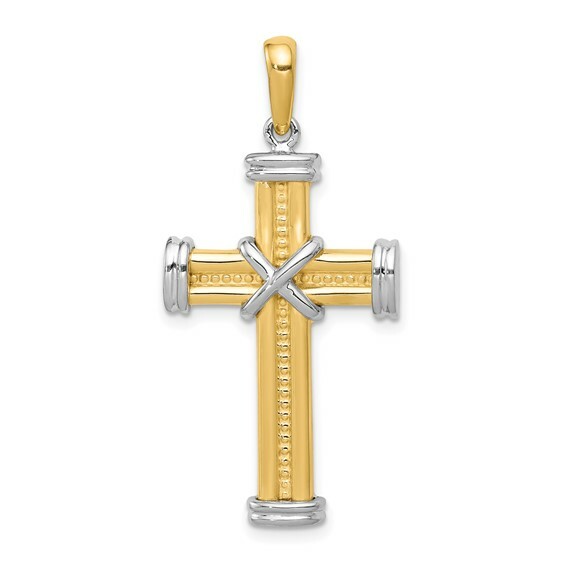 Fancy cross pendant is made of 14kt two-tone gold. Weight: 4.48 grams. Item measures 3/4 inch wide by 1 3/16 inches tall without loop and bail. Not engravable.